Have all your things for the start of term this year? No need to go all the way to Diagon Alley - we've got you covered right here. 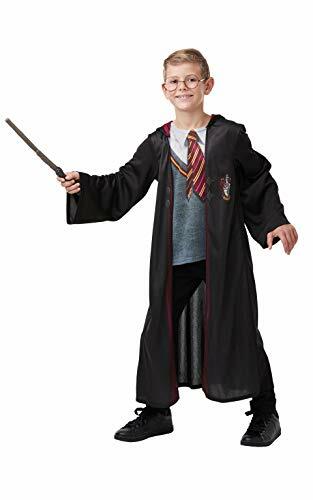 An essential part of the Hogwarts School of Witchcraft and Wizardry student uniform, each signature striped necktie proudly displays House colors and mascot insignias instantly recognizable by fellow witches and wizards. 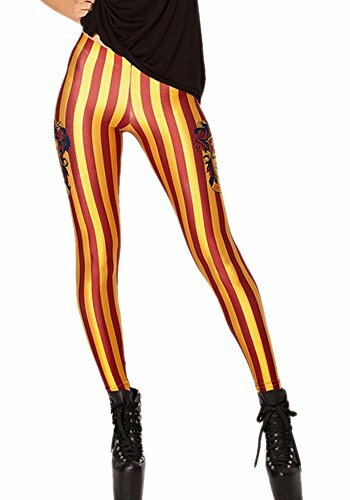 Wear them with your Hogwarts robes or even a plain button-down whenever you need to blend in with Muggles. Collect them all to complete your own wardrobe or share with friends! 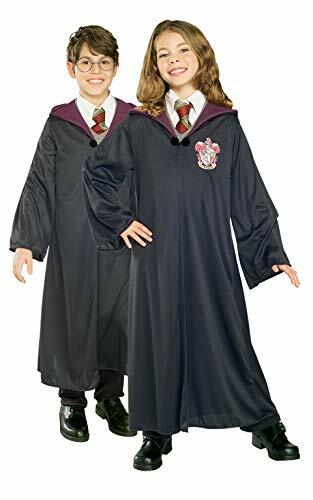 Official Rubie's Harry Potter product from the Wizard World Range. 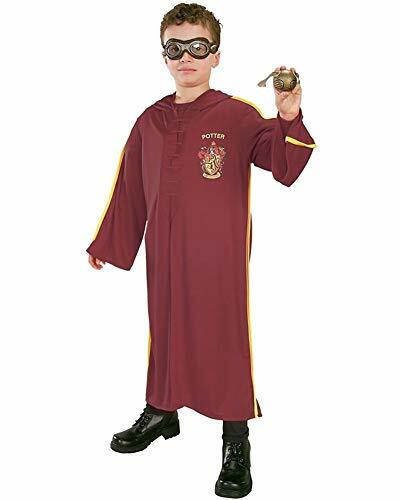 Have you the daring, nerve and chivalry to warrant the wearing of this Gryffindor robe? With the lion rampant on his scarlet crest, wear your house colours with pride as you begin your very own adventure with Harry and his friends. 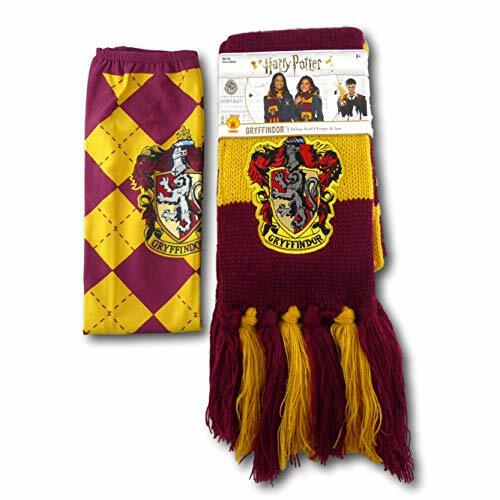 Proudly represent your Hogwarts House with house colors accessories! With a pair of argyle knee-high socks and a striped student scarf, you'll be ready to show off your house spirit. 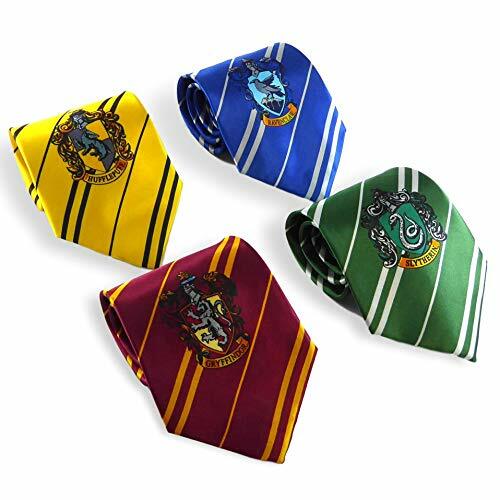 Wear with your student robes or a Muggle disguise - or gift to a friend! Official Rubie's Harry Potter product from the Wizard World Range. Reputation has it that the House of Godric Gryffindor has commanded the respect of the wizarding world for nearly ten centuries. 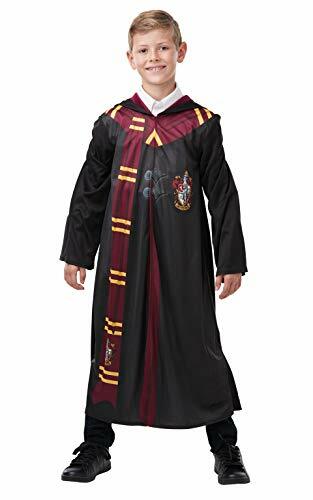 The Sorting Hat is not known to make many mistakes, so be sure to do justice to this authentic robe.